Just Write About It. : Tinder, the not-so-good-at dating app! Tinder, the not-so-good-at dating app! PLEASE NOTE: DOES CONTAIN ADULT CONTENT (because i'm an adult now and I can say these things). 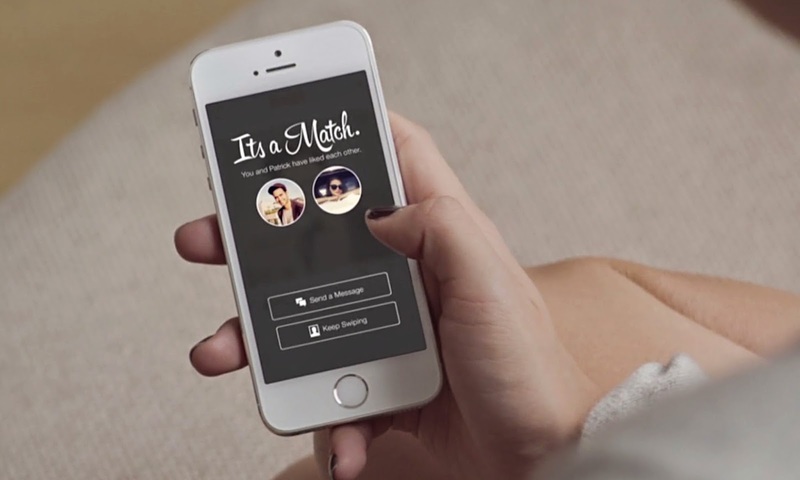 Tinder "It's how people meet" - it's catchy tag-line which doesn't exactly tell the honest truth. In fact, the majority of people I've questioned about the app claim they just use it to "pass time, and never actually talk to anyone on there". 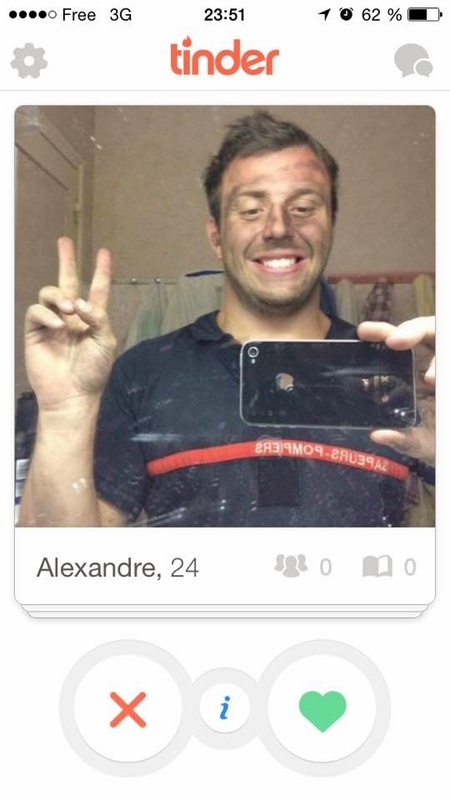 Most will have heard or have been on the fairly recent hot-or-not app, Tinder. But for those whom aren't aware, its basically an app where you sign in through your existing Facebook account and then through the details you provide (ed. Male/Female, age and distance from your own location) the app then generates people within your specified radius who match the details provided. Giving you their first name, their age and whether or not you have any mutual Facebook friends. Their pretty (or not) pictures appear and if you fancy them, you swipe right, if you don't, you swipe left. And that's all there is to it. No, really, it's as pretentious as that. We've become a vain generation who seem to want to meet people based on their appearances. You can include an array of generous photographs of your choice for your own profile and include a short information snippet, however this tends to be things along the lines of 'Snapchat me: sxclad123 ;)' or 'on here for a laugh L O L' or even 'swipe left if you don't like house music'. Oh yeah, it's got all of them on there, it's like a picture book of singles - it get's rather embarrassing actually, which is probably why we disguise the participating of the app as just a joke to our friends. With this being said, there's no denying when one of your matches pop up with cheesy chat-up lines or creepily telling you your beautiful there's something strangely flattering about that. So take my case for an example, I've been single (happily might I add) for three years and decided to download the app with my flat mate when she was single too. We had fun judging people's bios and their photo's, and comparing who we'd both matched and how many we totted up. I have no shame in telling you I now have 130 matches. I then also don't mind sharing that I have only met with one of those 130 from the app and as i'm still here writing this, you can tell all went well and I didn't end up as a CSI case. Anyway... I hear it's now transformed into more of a cyber space where young (and maybe old, i'm just not old, or have any old friends to ask....) singles meet with just one intention in mind... you can see where i'm going with this. Yet shamefully i'm no longer "down with the kids" and only very rarely have a swipe through every now and again just as a pass-time. Among the hilarious and grossly amusing chat-up lines both myself and others have oh-so kindly shared with me, i've come across people I know are indefinitely in relationships, and I fear the app has the potential to ruin many a relationship, as can most social-media websites if you're capable of being an unfaithful b@"£ard anyway. When asking around for some stories and opinions on the reputation-destroying app to share with all, I found people agreed with me too. Andrew, 23, from Stockon on Tees answered "Well, I don't really talk to anyone on there, it's just to pass time when i'm bored." Andrew also agreed that "...it's better to have more matches, it's always a confidence boost when you get one", showing that guys can also use the otherwise pathetic app to strangely make themselves feel better. Where's the shame in that? We all like attention from time-to-time, right? But here's what you've surely been waiting for, the print screens I was sent when posting a quick status on my personal Facebook to ask for anyone to share their own experiences with the controversial app. Esther, 23, from Marseille in France sent me this. Tinder is internationally amusing us! Esther also shared that in France Tinder is more of a 18-20 or 30-40 year old kinda game. Their twenty-somethings must be much cooler than us Brits! Print-screens number 2 & 3 were both sent to me by Alex, 20, from Manchester accompanied with "Two lovely messages I've received!" and aren't they just that! I'm pretty sure if this was shouted at a girl across the street, harassment complaints could surely be filed and restraining orders granted. Number 4 was something I received. Good effort I suppose, but really? This just screams out 'I've just Googled chat-up lines to be funny!! ', not me, and not today boyo. Emma, from Cheshire also provided me a print-screen of a guy providing his mother's Snapchat username, just 'for a laugh' for her to add. What on Earth is the world coming to?! These two were shared by Andrew, 23, Stockon on Tees. The owl one is my personal favourite. But keen 'Chloe' shows how this isn't a one-sided thing. Girls are as guilty as the men have been in this case, although there are many I've made a conscious decision not to share with you, as they were pretty rancid to say the least. Overall I think it's probably safe to say that nobody takes the self-acclaimed 'dating' app too seriously. I'm the only person I know who actually met with a match, I must be crazier than I thought! Who knew I was such a rebel? It really is 'just a laugh' and to pass some time, it's not like reading a book would be fun. Come on, this is the 21st century, who reads literature as a pass-time nowadays? Whilst I have your attention, I would like to pass you over to my trusty-friend, Emma who has a few words to say about a climb up a certain MOUNT KILIMANJARO!! A round of applause please! "I will be climbing Mount Kilimanjaro in order to raise £3,ooo for Childreach International. The charity exists with the aim to unlock the indefinite potential of children living in deprived areas of the globe, so they can receive the childhood they deserve. Every donation, no matter how small, will make a huge difference to those individuals lives and of course greatly appreciated. To donate head over to https://mydonate.bt.com/fundraisers/emmajenkins . Or you can even text 'UNLOCK 152695' to 70007 and £3 will be credited onto my donation page. Thank-you."